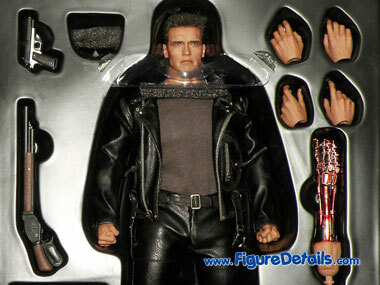 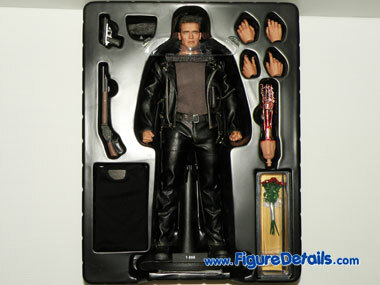 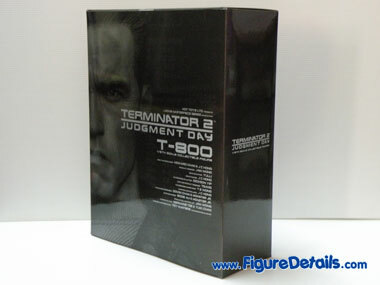 Show you the inside packing of Hot Toys T800 Terminator 2 action figure. 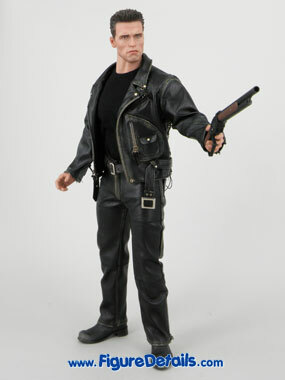 As you can see, T800 action figure comes with 2 guns - pistol, and shotgun. 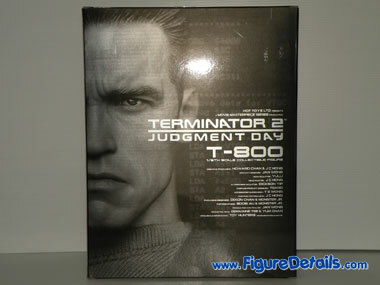 If you can remember, T800 has more weapons in the movie - Terminator 2. 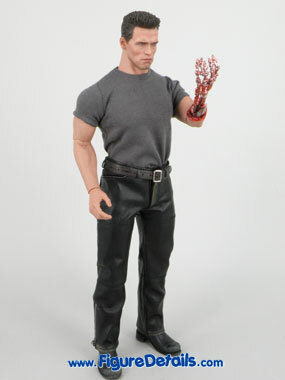 What it means? 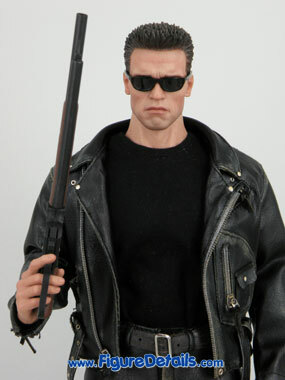 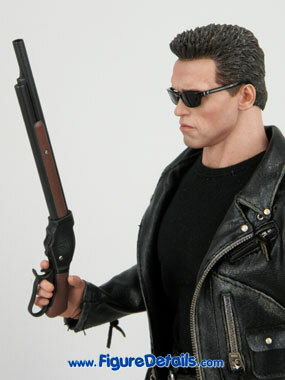 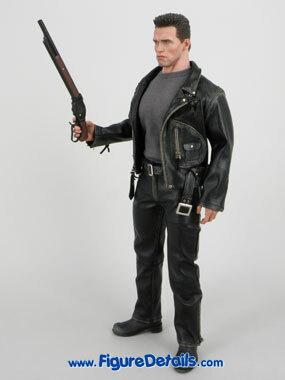 The other weapons will come with the next T800 Arnold Schwarzenegger action figure. 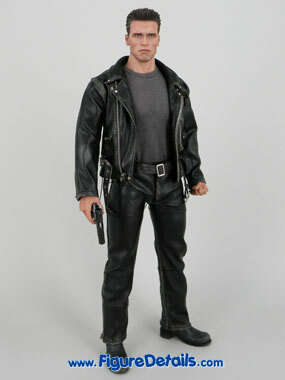 Hot Toy T800 is the best Arnold Schwarzenegger action figure you never have. 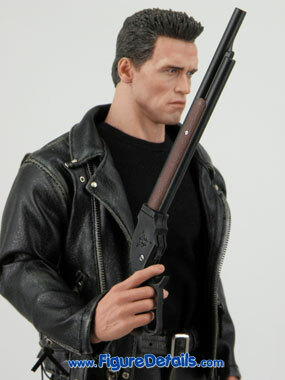 Of course, Hot Toys may produce a better one in future. 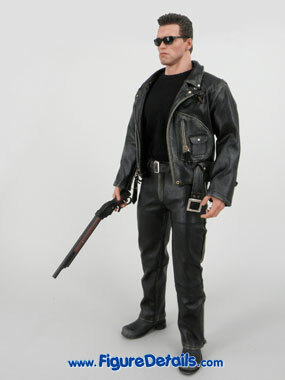 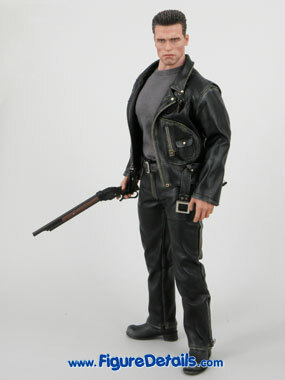 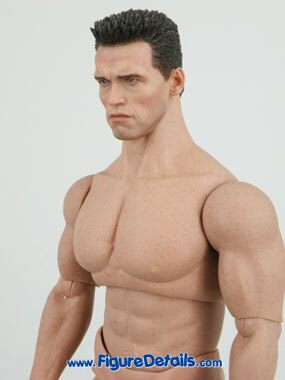 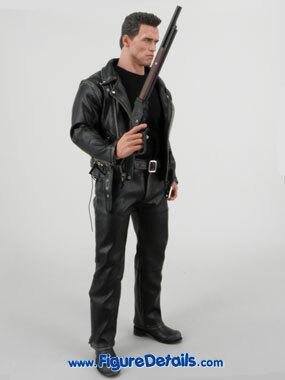 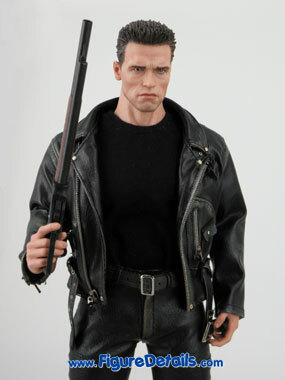 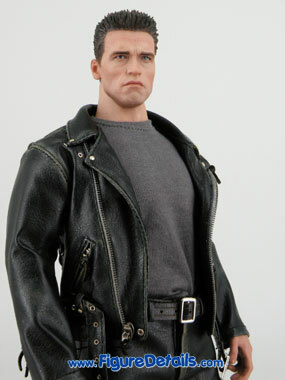 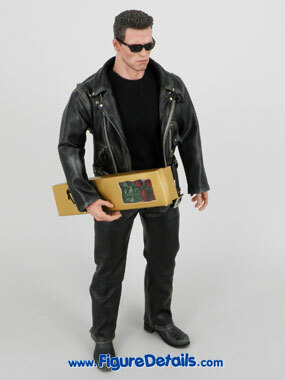 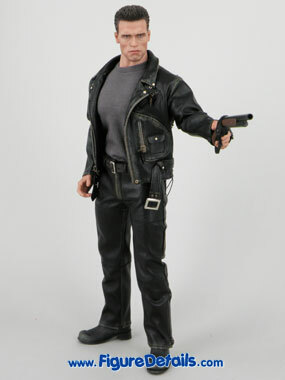 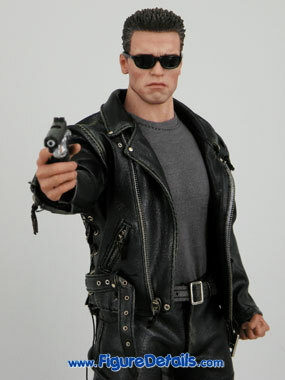 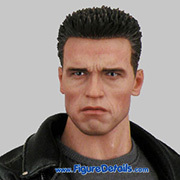 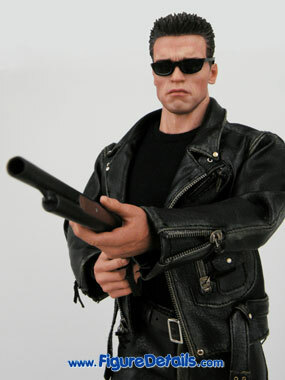 But, this Arnold Schwarzenegger action figure is a must collection. 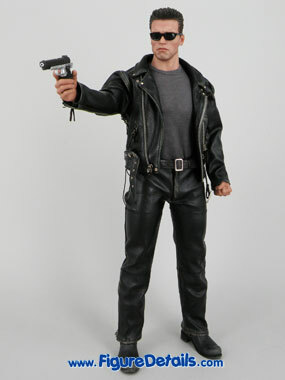 Just look at the photos, you know how detail of head sculpt, how detail of the black leather-like jacket and pants.